There was a time when China would have been alarmed at the sight of a US aircraft carrier docking in a Vietnamese port. The Communists, after all, had triumphed in Vietnam, and for many years the return of the US military to the scene of its greatest humiliation looked highly implausible. 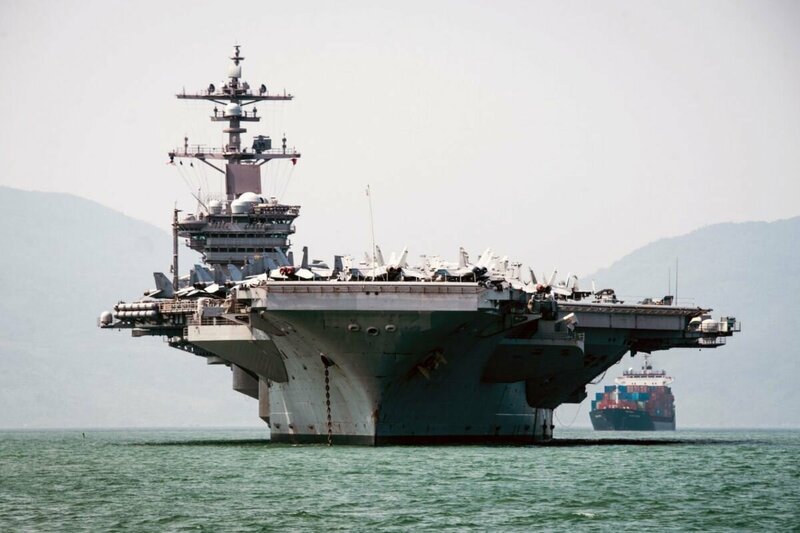 Certainly the spectacle of the USS Carl Vinson and its 5,000 person crew receiving such an effusive reception in Danang this week may give the Chinese pause for thought. 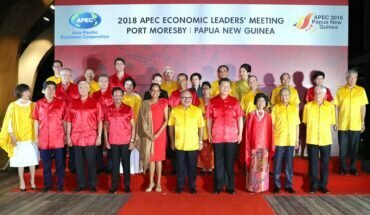 But strategic thinkers in Beijing are inclined to dismiss it as a symbolic gesture that will have little bearing on their long term plans to dominate Southeast Asia. 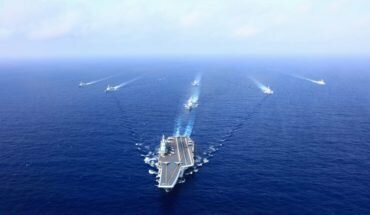 China’s aim is to gradually lever the United States and its battle fleets out of the western Pacific where they have ranged unchallenged for so long. By building military bases across the Spratly and Paracel chains in the South China Sea, and developing submarines and missile systems designed to destroy US aircraft carriers and their escorts, it may soon be in a position to deny the US navy access to vast areas off its southern and eastern shores. The Global Times, a mouthpiece for the Chinese Communist party that usually trumpets a belligerent and nationalistic tone, acknowledges that the carrier’s visit will be greeted with “vigilance and unhappiness” in Beijing. But it adds that the decisive factor in the South China Sea will be “comprehensive strength” – an apparent reference to China’s rapid construction of naval and air bases on reclaimed islands, and China’s rise as the dominant economic power in the region. “Enhanced military exchanges between Washington and Hanoi will not generate any special tools to pressure China,” says the newspaper. Vietnam is also sending out signals that it is not abandoning its carefully calibrated policy of balancing relations between Washington and Beijing. 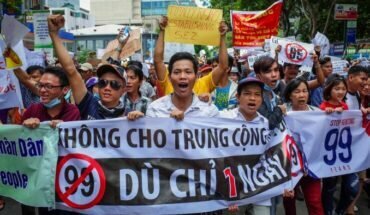 Hanoi is pursuing closer strategic ties with the United States to defend its claims to disputed territory, fishing grounds and energy reserves, but it wants to avoid an open breach with China, with which it maintains close economic links and party-to-party relations. President Trump’s decision to withdraw from the TPP free trade agreement at the beginning of last year was seen by China as a spectacular own goal. It led Southeast Asian nations to question, not for the first time, the consistency and reliability of the US commitment to the region. “The US is free to send warships to the South China Sea, which will only waste money,” mocks the Global Times. Beijing announced this week that its defence budget would increase by 8 percent to $173 billion. It is due to launch a second aircraft carrier, deploy stealth fighters and continue to produce missiles designed to target naval and air targets at ever greater ranges. The USS Carl Vinson and Washington’s other carriers, deployed from Japan, Guam, Hawaii and west coast ports, remain formidable weapons of war that fly the flag for the US in Asian waters. But China has been working for years to neutralise their power and reach. The strategy known as “anti-access/area denial” involves the deployment of “carrier killer” missiles and advanced submarines, and aims to drive the US fleets back into the open ocean, beyond Taiwan and the Philippines, leaving the inshore waters firmly in the hands of China and its shiny new fleets of surface vessels. The Carl Vinson in Danang is a highly symbolic gesture, enhanced by the memory of US marines wading ashore at Danang in 1965, but China aims to keep it just that – a gesture.